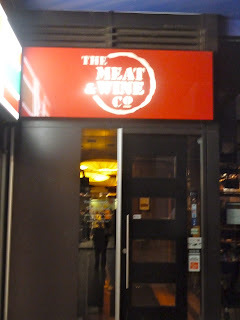 When I was in Melbourne, I met up with K and S at Meat & Wine Co in Southbank. As I was walking along the promenade, I noticed how busy the place was. It was full of life and activity. Every restaurant and bar along the strip was packed with diners. I guess it helps that it is a Friday night and the weekend had kicked off! I had the 130 day aged 300g fillet cooked medium rare. My sauce of choice was the green peppercorn sauce. K and S chose the full rack pork ribs and between the two of them, they actually finished the rack. Boy were they enjoying it! There is no other way to enjoy the sticky sweet ribs than to eat it with your bare hands. I managed to get a taste of it and it was delicious. It was definitely finger licking good! My steak was beautifully cooked, as I specified medium rare. It was juicy and tender. K and S have been here many times before but all they ever order is the pork ribs because they love it so much. But due to my attendance, they actually got to try a piece of the fillet that I ordered and they found it to be just as delicious! So I think they will look to more than ordering pork ribs the next time they visit Meat and Wine Co.
Once again, dessert was off the menu as we were so full from eating all the meat. Hmmm..upon reflection, this is an aptly named restaurant. The restaurant was quite full and the meals were served very quickly, which accounts for the quick turn around of the tables. 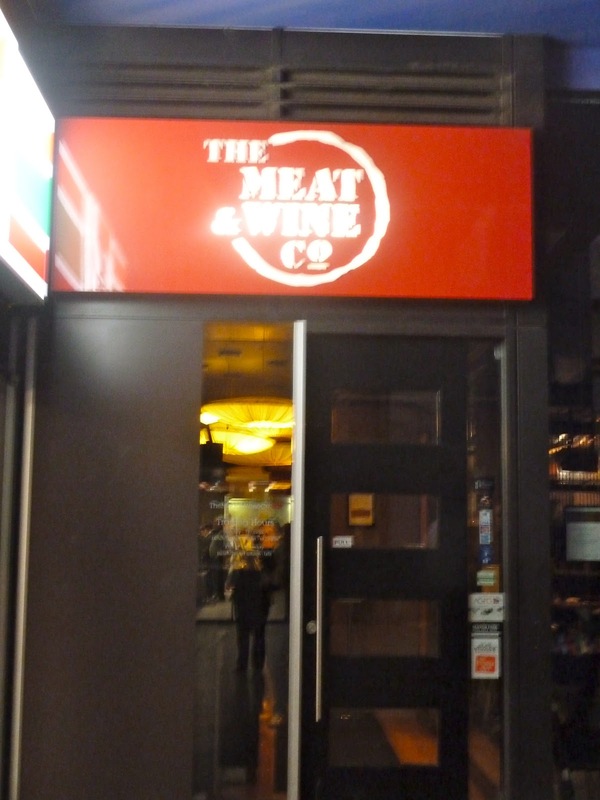 I have been to their branch in Darling Harbour, usually for lunch. Love their burgers or steak sandwich.